Former Sheffield Wednesday football player Miguel Llera has developed an innovative training tool to improve football skill and technique. 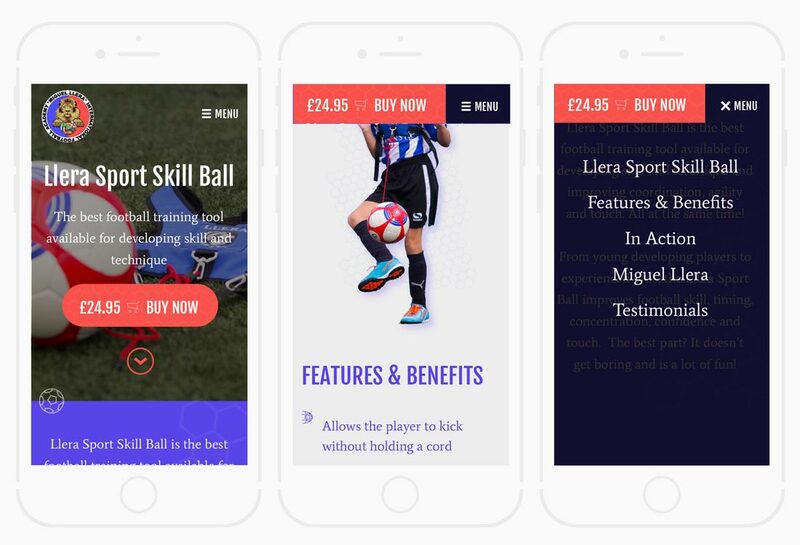 He required a one page site to showcase his product and enable the user to purchase the Llera Sport Skill Ball. 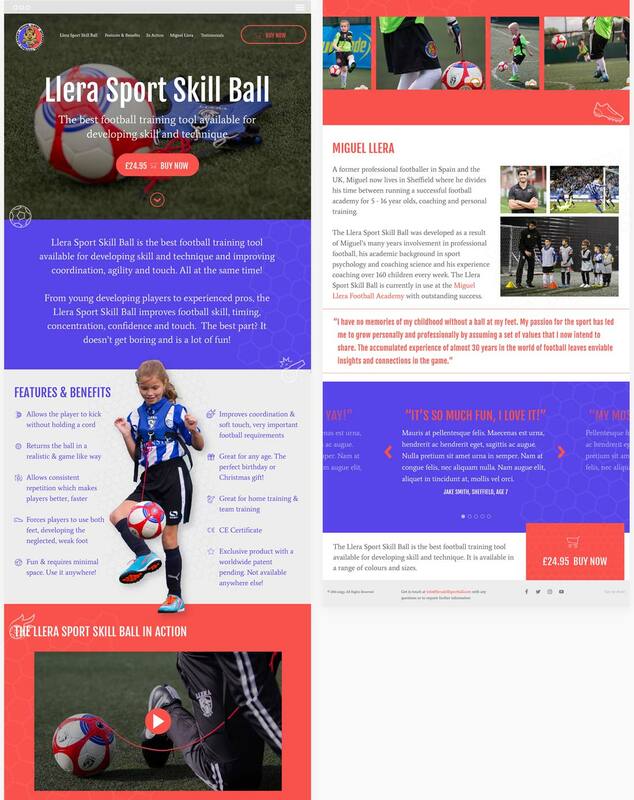 A one page bold, modern site was designed to market the Llera Sport Skill Ball. Football icons and background motifs create a sense of cohesion throughout by linking sections together while parallax scrolling is used to create a sleek effect. The CTA to purchase the training tool is very strong and in a prominent position throughout. Subtle interactions enhance the user experience. The main aim of the website is to market and ultimately sell the training tool. Checkout needed to be intuitive and simple, while also retaining the edgy aesthetic of the primary design. The juxtaposition of a bold headline font with an elegant - yet modern - body font ensures the user gains a clear overview of their cart at a glance. The menu is constant and transforms into a strong CTA as the user scrolls down the page. Interactions such as the hamburger morphing into an X and the dropdown menu taking over the full screen on mobile serve to enhance the user experience.